Move Over Conventional SEO Conferences, It’s Time We UnGagged! If you have been looking for a way to enhance your digital marketing efforts, and see actual results, then look no further. The much-awaited UnGagged conference to be held in London and Las Vegas from 11-13 June, 2018, promises to be exactly what you need. Designed to uncover some of the biggest and most profitable opportunities in digital marketing, UnGagged sessions explore what works, what doesn’t, and clarifies misinformation too. You no longer have to rely on those “conventional” SEO topics covered at martech conferences. At UnGagged, you get the unfiltered truth, straight from some the industry’s most prolific internet marketing professionals. And what makes it so different than the scores of other such conferences? UnGagged is unrecorded! That means a strict ‘no fluff’ and ‘no sales pitches’ policy. As an attendee, you get to implement the valuable methods you learn here before they are shared on social media and blogs. Don’t take our word for it. Here’s what some of the London 2017 attendees had to say about UnGagged. “I’ve been in the industry for years and SEO conferences are all starting to blur into each other. Almost every speaker comes out with the same old nonsense that’s been paraphrased from the Google guidelines. I had lots of useful tips, ideas and concepts that made me want to go back and start playing with them immediately. This is what the edgier conferences used to be like before they got corporate and “safe”. Glad to see someone’s still carrying the torch for all us old skeptics and reprobates, I’ll definitely be back,” another attendee Micheal. We’re glad you asked. UnGagged isn’t just a catchy name, it’s an ethos. A strictly enforced “no-recording” rule throughout the conference ensures that there are no videos, no leaks, and no way for anyone, except the attendees, to benefit from the valuable information divulged throughout the duration of the event. Why does this matter? Because, while this exclusivity is an excellent way for UnGagged to sell tickets, it has a much more tangible benefit that elevates the conference above all others. The industry leaders that are speaking at the event are “UnGagged” in the literal sense of the term, which makes them much more willing (and able) to share detailed information and secrets. Like Micheal pointed out, these experts aren’t just repeating paraphrased Google guidelines, or talking about general industry trends and well-worn SEO topics; the UnGagged experts get right down to business with the actionable methods used to generate a substantial online income. Judith Lewis, one of the experts at UnGagged London 2017, believes that UnGagged is ‘the’ conference one mustn’t miss at all. Link Building: Backlinks are still important when it comes to ranking. Still wondering if you should be attending UnGagged? Allow us to convince you to take that step and pick up that ticket. 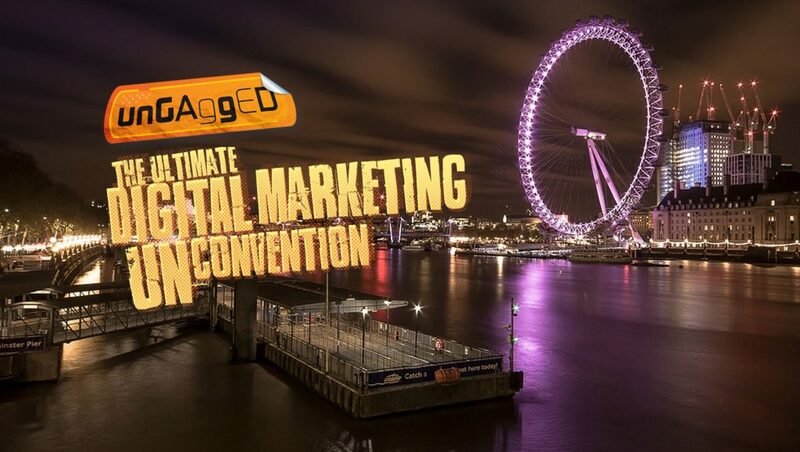 UnGagged offers a liberating and thought-provoking atmosphere to both attendees and experts; some of the most revolutionary digital marketing experts will provide the audiences with their most lucrative strategies and top-secret methods. And this conference is aimed at intermediate to advanced digital marketers who want to learn the latest industry insights. For three days you are going to be sitting in a room with the best and brightest the internet marketing world has to offer. Not only that, but you’re bound to bump into a few familiar names and famous faces like Dixon Jones, Greg Gifford, Jenna Tiffany, Bastian Grimm, Marty Weintraub, Aleyda Solis and more! And no, you can’t just ‘Google’ it when it comes to learning. Let Chris ‘Kubby’ Kubbernus, Founder & CEO at Kubb&co, a Copenhagen-based digital agency, tell you why. So this June, (June 11-13 to be specific) get UnGagged in London, it might just make you rethink SEO conferences.